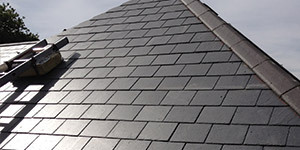 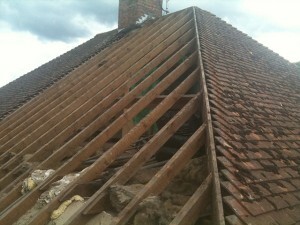 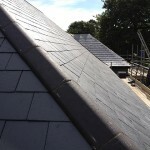 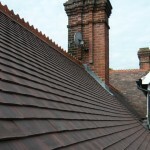 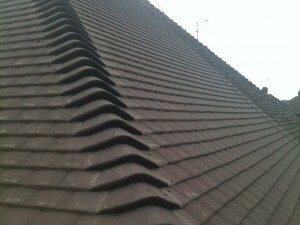 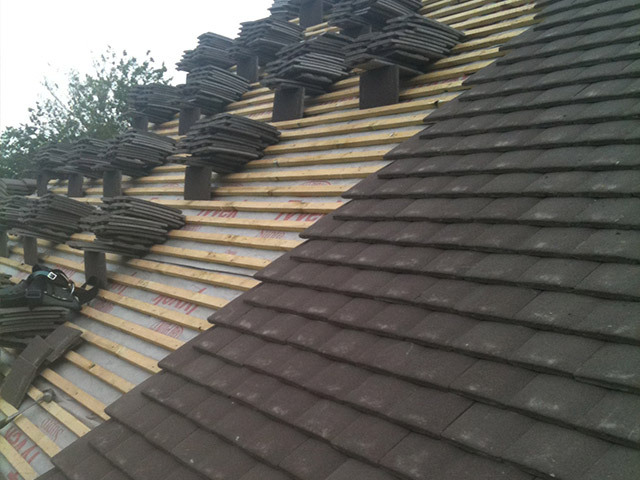 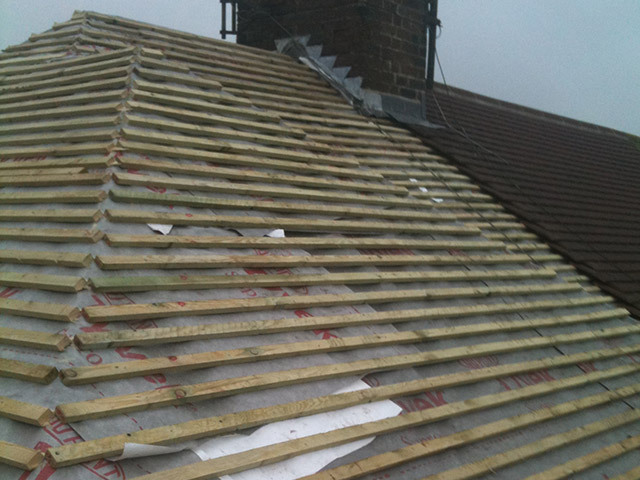 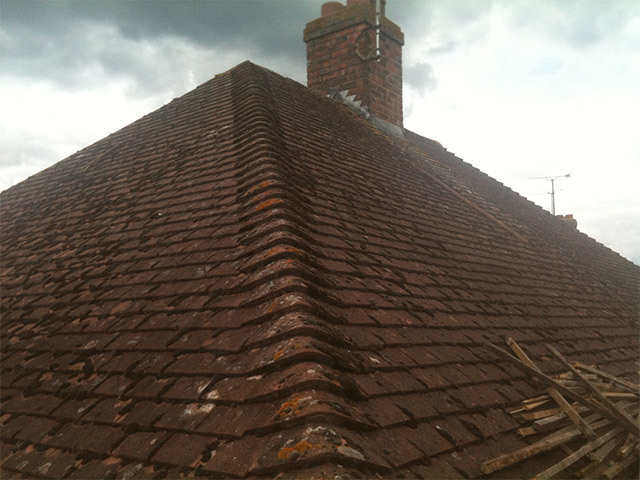 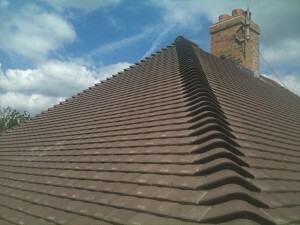 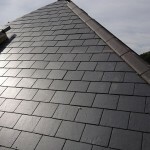 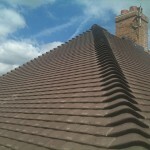 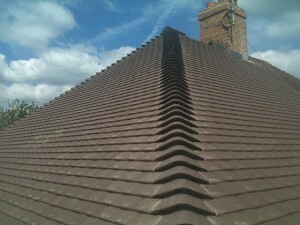 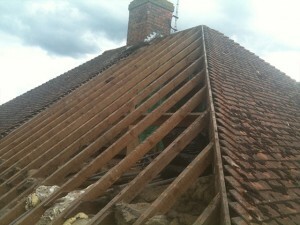 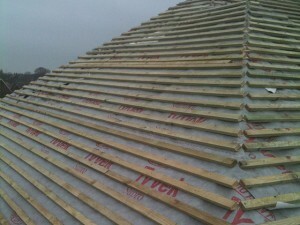 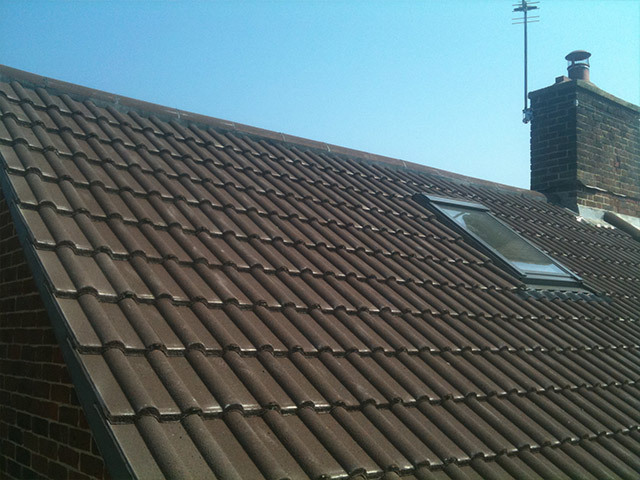 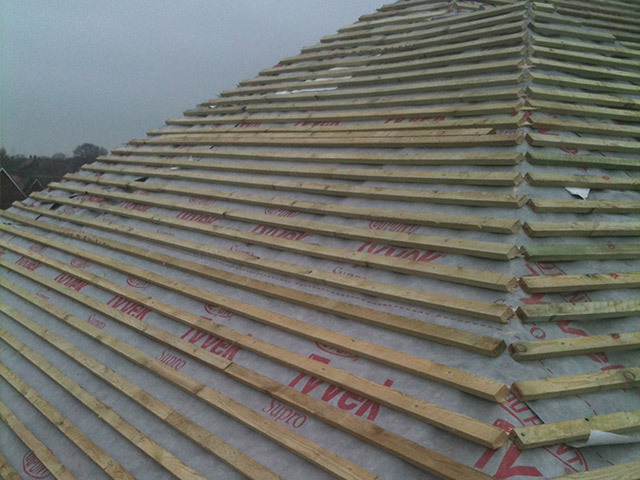 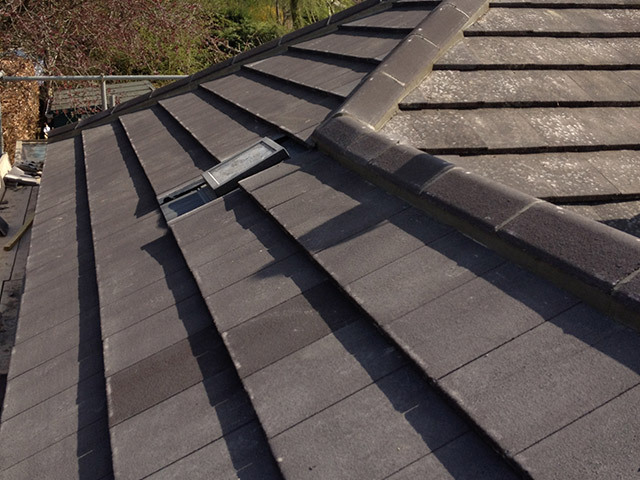 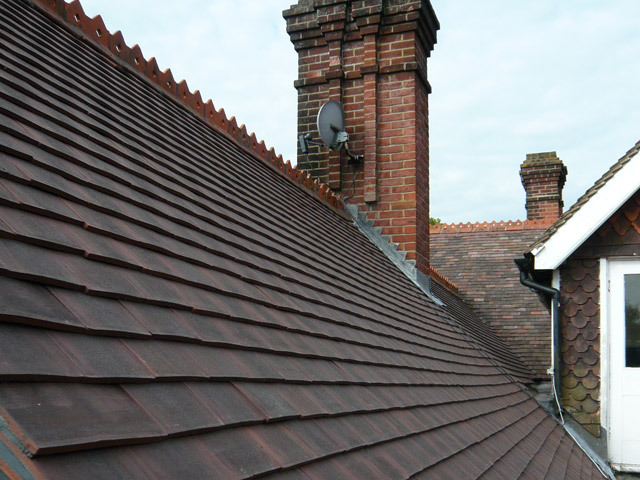 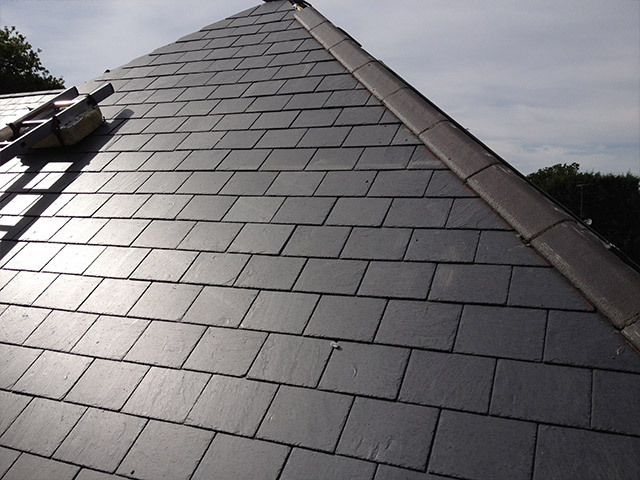 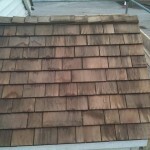 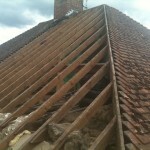 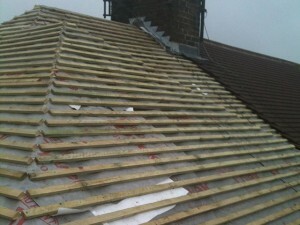 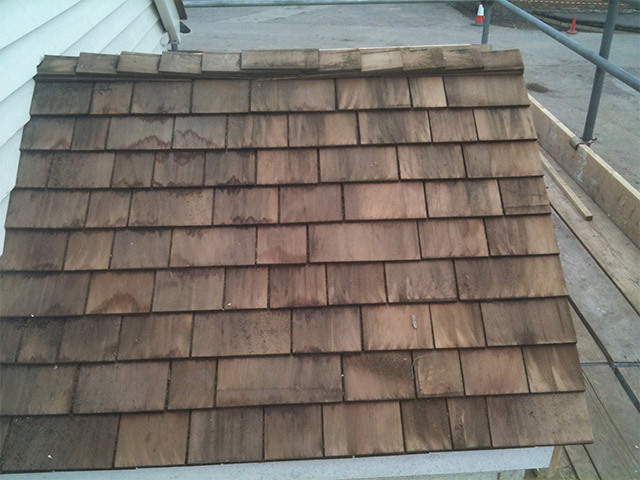 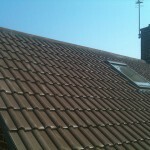 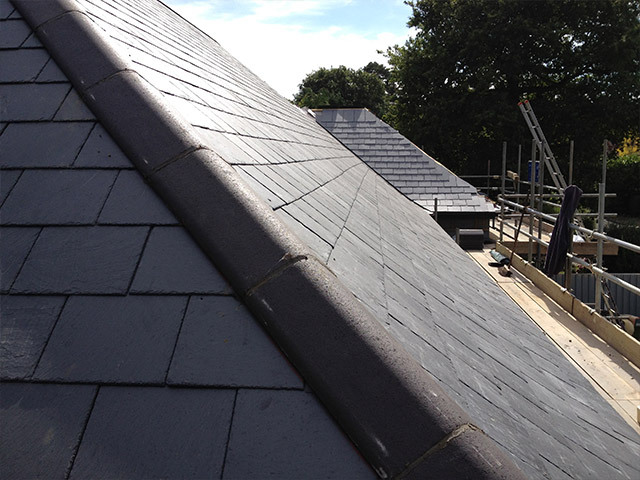 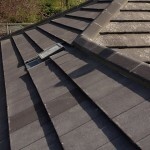 Here is an example of a roof renewal the tiles are thin and brittle and the battens where starting to fail. 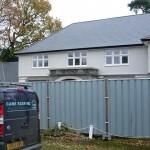 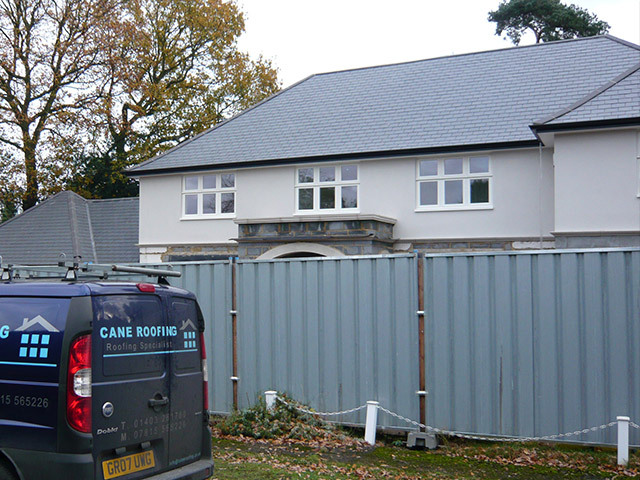 We stripped the old materials away and renewed using Redland concrete plain tiles on this occasion we also renewed the soffits fascias and gutters. This roof has a 30 year garauntee.